In November, Central American migrants evaded Mexican riot police and faced tear gas at the San Diego port of entry. When another caravan approached the Texas border this month, Mexican authorities held them in an empty Piedras Negras factory, then dispersed them. PIEDRAS NEGRAS, Mexico — On Monday morning, Iris Portillo wasn’t sure where she would end up later in the week. But about one thing she was certain — she didn’t want to get bused to another Mexican border city. 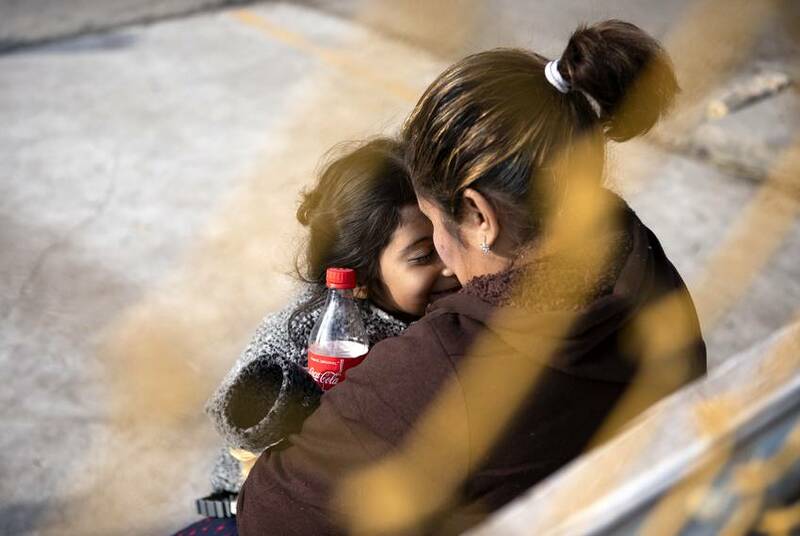 “Why am I going to go to another border [town] if I don’t know that place?” she said from a makeshift immigration shelter in this border town across the Rio Grande from Eagle Pass. 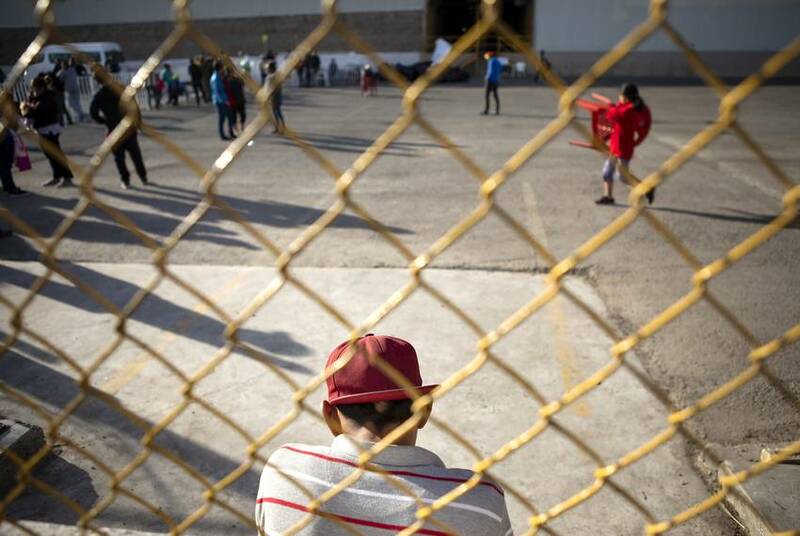 Just a few feet away, Raul Reaños also was contemplating his immediate future as the number of migrants in the shelter — a factory building ringed by Mexican police — quickly dwindled with each departing bus. “I am going to wait it out here and see what happens when they close [the shelter],” he said. 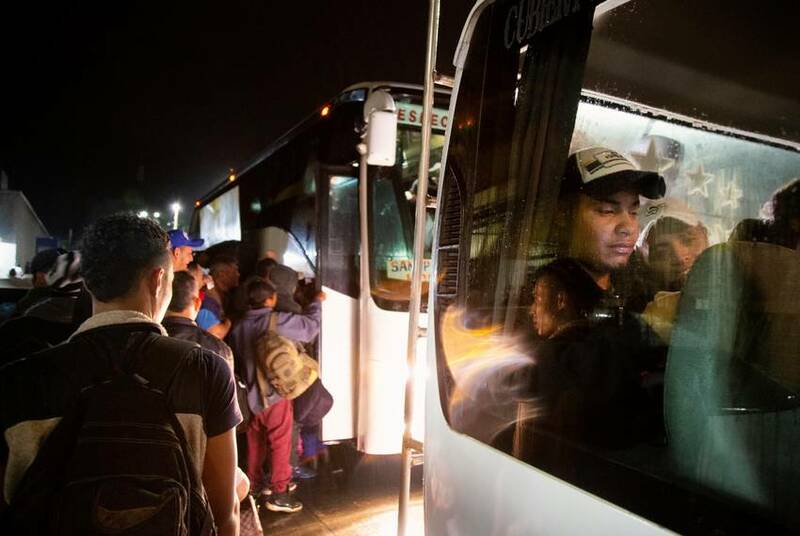 Both had traveled with the most recent migrant caravan — this one departed from Honduras last month and reached Piedras Negras on Feb. 4 — and both said they had planned to apply for asylum in the United States. But they said they were prevented from doing so by Mexican government officials who instead allowed them to apply for visas to travel and work in Mexico. Only about a dozen people a day were allowed to apply for asylum; U.S. officials said that was all they could process. By Tuesday evening, the shelter was closed and most of the estimated 1,600 Central American migrants in the caravan had been transported to cities throughout Mexico. Some told the Tribune they didn’t want to leave Piedras Negras and planned to try and sneak into the U.S. across the Rio Grande. Others were deported back to Central America. It was a quiet ending to what had appeared to be an explosive situation a few days earlier. As he tried to whip up public support for a border wall, President Donald Trump had invoked the caravan as a reason the country needed a barrier on its southern border. 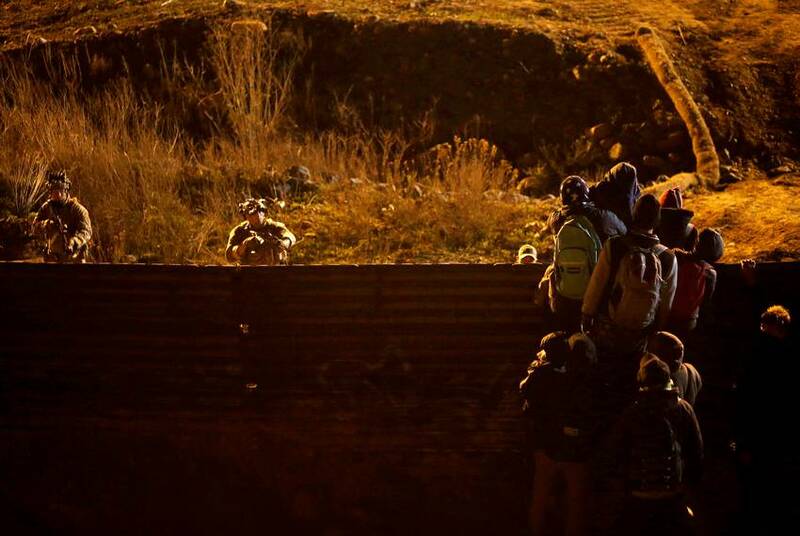 And as the migrants approached the border, U.S. Customs and Border Protection and Border Patrol officers practiced crowd-control exercises and parked their vehicles along the riverbank in tight formation. Then members of the caravan scuffled with Mexican police after being prevented from leaving the shelter. Within a week, Mexican officials had cleared out the place. 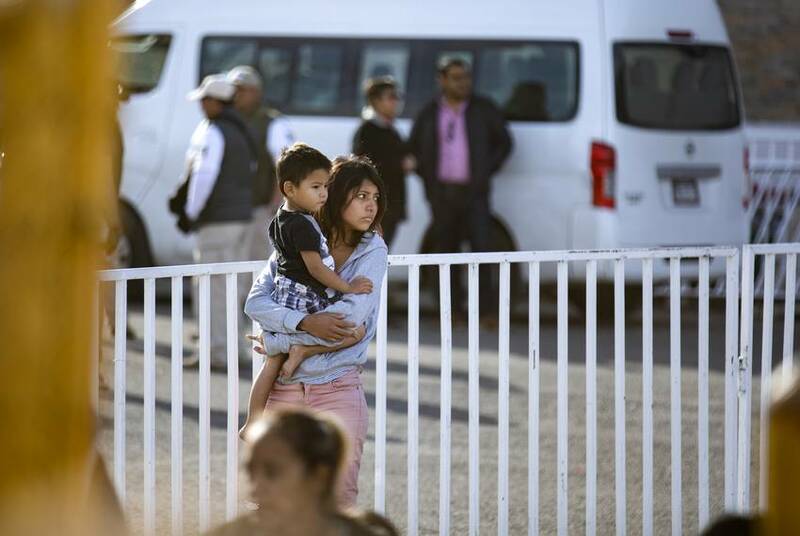 That was a stark difference from the scene in Tijuana in November, when members of another Central American caravan rushed past police barricades and were met with tear gas as they approached the San Diego port of entry. 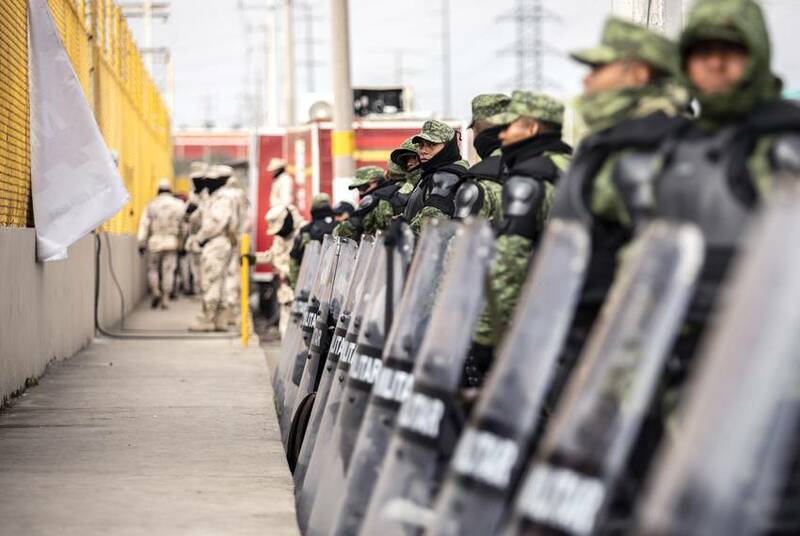 Officials in both Texas and Mexico lauded the state of Coahuila and Mexican President Andres Manuel Lopez Obrador’s administration for preventing the kind of disorder in Piedras Negras that happened in Tijuana. Chaos would have played into the hands of Republicans who repeatedly paint the border as a chaotic and violent, one Texas Democratic lawmaker said. Austin-based Mexican Consul Carlos González Gutiérrez said what happened in Piedras Negras was a result of a policy shift handed down from the Lopez Obrador administration that focuses on protecting migrants who travel through Mexico. Some of the migrants disputed that Mexico had their best interests in mind. They believe the Mexican administration caved to the Trump administration’s demands that Mexico do more to stop Central American migrants from crossing into the United States. "This was all planned" by the Mexican government, said Olvin Hernandez, 21, a Nicaraguan who said he feared he'd be deported back to his home country. Immigration experts say it’s unclear whether what happened in Coahuila is the result of a wholesale policy change or a lack of cohesion within the Mexican government. Ariel Ruiz, a policy analyst with the Washington-based Migration Policy Institute, said Mexico’s immigration agency, the Instituto Nacional de Migración, isn’t addressing the situation on the same level as Mexico’s foreign secretary. The latter is still trying to figure out how to respond to the Trump administration’s demands, he added. The arrival and subsequent disbanding of the caravan in Piedras Negras comes as the Trump administration is testing a program called the Migrant Protection Protocols — also called “Remain in Mexico” — which forces immigrants seeking asylum in the U.S. to wait in Mexico until they get a hearing before a U.S. immigration judge. The program began at the San Ysidro, California, port of entry across from Tijuana last month and is set to expand to other ports of entry, including some in Texas. Shannon O’Neil, a senior fellow for Latin America Studies at the Council on Foreign Relations, said it’s another example of how the Mexican government is responding to the Trump administration’s pressure. “Mexico is tacitly cooperating with the unilateral Remain in Mexico, providing visas and slowing or stopping migrants from approaching the U.S. border from the Mexican side,” O'Neil said. 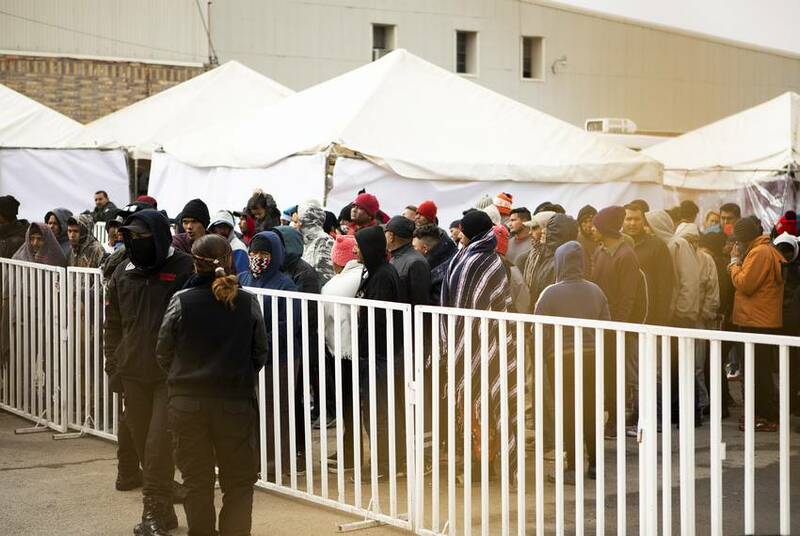 On Wednesday, after learning that some of the migrants formerly housed in Piedras Negras were sent to Ciudad Juárez, across the Rio Grande from El Paso, the mayor of Juárez said he was considering filing a formal complaint against the state of Coahuila. 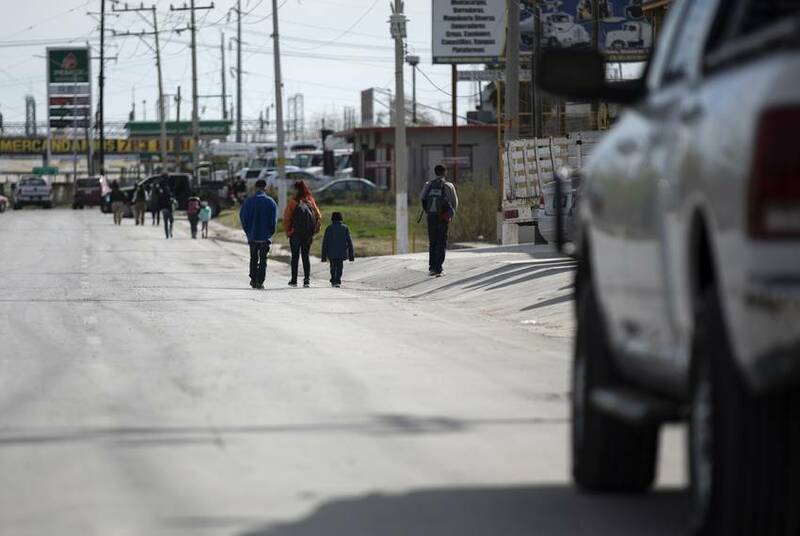 About 300 of the migrants in Piedras Negras were transported to Ciudad Juárez, according to Mexican newspaper Milenio.